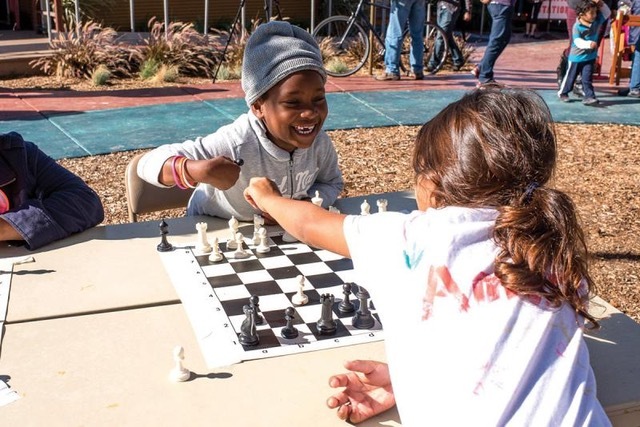 We also know that many low-income neighborhoods are “park-poor,” with fewer playgrounds, basketball courts, playing fields and nature trails than nearby affluent areas. So shouldn’t we all be in favor of adding park space to economically poor — and park-poor — communities? The result: “Do Parks Push People Out?” published in October 2018 in Bay Nature Magazine. The characters in my story are the parks, not the people. The antagonist is San Francisco’s Heron’s Head Park, a piece of land adjacent to Hunters Point-Bayview, an underserved community in southeastern San Francisco that has suffered environmental injustices for decades. That park is being revamped as a part of the Blue Greenway, a concept that developers are pushing to lure people with money to buy and build housing in this new “chic” area. The hero in my story is Richmond’s Elm Playlot. It’s a creative playground that was once a vacant lot that harbored dogfights and broken beer bottles. And then Pogo Park, a nonprofit organization, stepped in, adopted the park and worked with the community to reimagine it. For years, community members have known that the soil under their feet and the air they breathe was tainted. They knew about the underground fire that once burned for more than a month, sending up plumes of green and blue smoke, as some witnesses reported. For years, higher rates of cancer and respiratory illnesses were documented near the old Naval Shipyard and PG&E plant in that area, which had been declared a Superfund site. And then last year the public became aware of falsified claims that the shipyard — where new housing is being marketed— had been fully cleaned of extremely hazardous materials. Two former Tetra Tech cleanup supervisors were sentenced to prison for the falsified claims, but Tetra Tech has continued to land large contracts for cleanup efforts, including a contract awarded in January 2019 to clean up the town of Paradise, California, in the wake of the Camp Fire.